Your kids work hard every week in swim class. But, just like school or a musical instrument, it helps to practice new skills at home in between lessons. Even if you don’t have a pool, your swimmer can practice skills at home to help retain what they’ve learned. And for our littlest fish, the bathtub is the perfect place to get more comfortable with new swim lesson skills. This is a great time to have fun with your kids and make practicing swim skills playful! Have your swimmer stretch out on the carpet/grass and look straight up at the ceiling/sky and outstretch their arms and legs in back float position. Have some fun with jumping! Some kids experience anxiety when its time to jump into the pool. Set up come couch cushions or pillows on the ground, and have your kids jump off the couch or bed into the fluffy pile. Bathtime is the perfect time to practice blowing bubbles, getting their face wet, and slowly pouring water on your swimmer’s head to get them used to getting their face wet. Your child can even practice blowing bubbles in a cup! An important reminder to always supervise children in the bath at all times. Have your swimmer lay on their belly and practice some kicks! Have them practice raising their legs up and down with straight legs and good form. Practice climbing out of the pool on the edge of a bed. Use correct form (elbow, elbow, stomach, leg, leg). Have a swim dance party! Turn up the Beach Boys tunes and do the swim! Practice using correct arm form, and scoops. 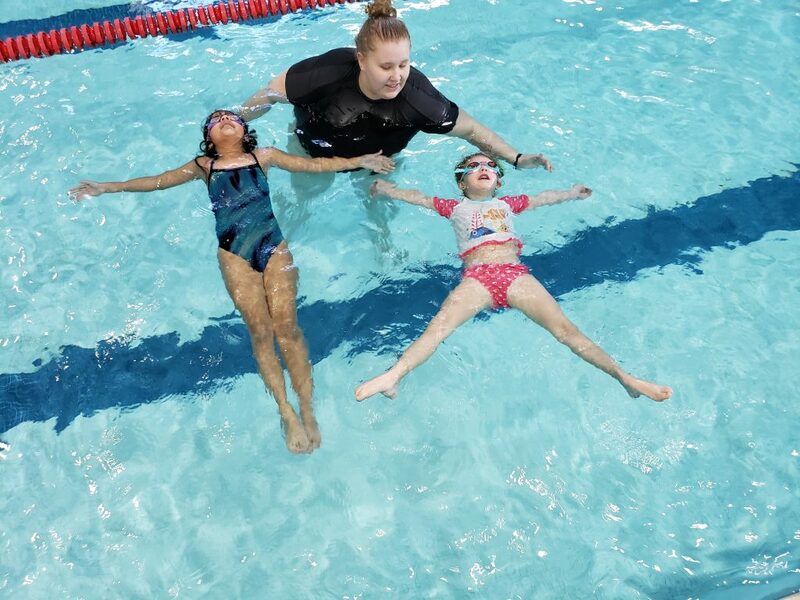 Practicing these skills at home will help to make your child’s lessons more successful and help them fell more comfortable in the water. 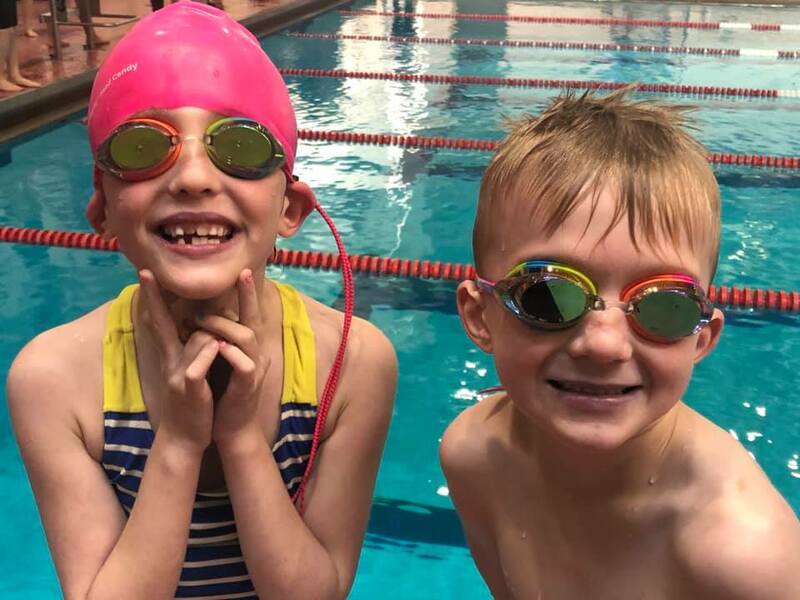 Swim is all about being safe and having fun!